Congratulations to our first winner who will be keeping cool this summer with some awesome goodies. Sarah Dustin has just won herself a pair of passes to Enchanted Forest Water Safari for submitting her picture of trying to stay cool by enjoying the shade at Ray Brothers BBQ. She's also scored a brand new air conditioner from Dave Hayes Appliances. You can be just like Sarah and be our next "coolest fan." 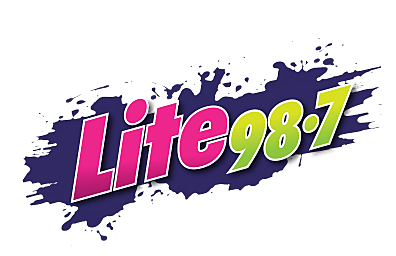 To enter, all you have to do is send us a picture through our free Lite 98.7 App of how you’re trying to stay cool. Whether you splash water on your face, enjoy a nice glass of lemonade, or find some shade to sit under… It can be anything. Submit your photo on our app right from your phone (and make sure to include your name and phone number) and you’ll be entered in. It really is that easy. We’ll draw a new winner every Friday, and that winner will be featured on our website as Lite’s “Coolest Fan of the Week.” So get those photos in and start dreaming about a cool, cool summer.